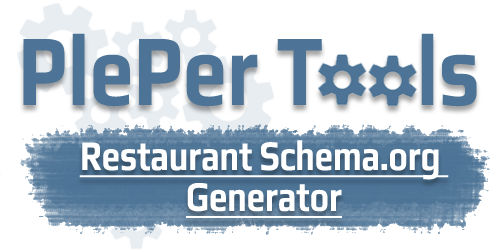 The tool generate automatically schema.org JSON-LD for Restaurant with the specific tags and actions. If we can`t find any information, we change the row with : "ENTER_*****_OR_DELETE_ROW"
In the autocomplete field start typing your Listing name and select it from the drop down menu. The tool will show you simple information for the selected Listing, please check that it`s the right one and proceed to questions, after that click Generate Restaurant Schema.org code button. Every tool have some daily limits, if they are exceeded, you will see notification. Do you have online menu ? Do you offer reservation ?